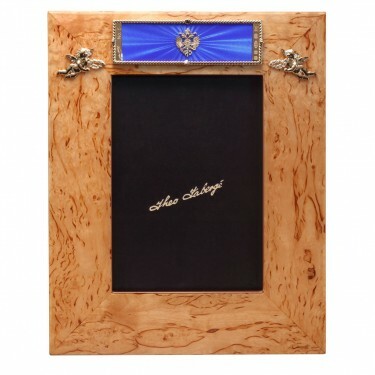 Theo Fabergé’s IMPERIAL FRAME is created in the magnificent tradition of picture frames originated by his grandfather Carl Fabergé, warrant holder to the royal Court of St Petersburg. Inspired by a passion for the architecture and environment of the former Russian capital city, Theo chose Karelian Birch for his creation. This rare and unique wood is found only in the Gulf of Finland and the surrounding area through which St Petersburg’s River Neva flows, and is distinguished by a creamy white grain with contrasting brown flecks. 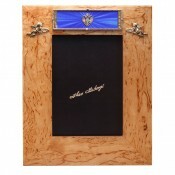 The wood bears a hallmarked silver and gold plaque, double engine-turned and enamelled in azure blue. To the centre, the famed double-headed eagles of the Romanov dynasty. To left and right, vermeil cherubs announce their message of tribute and affection. 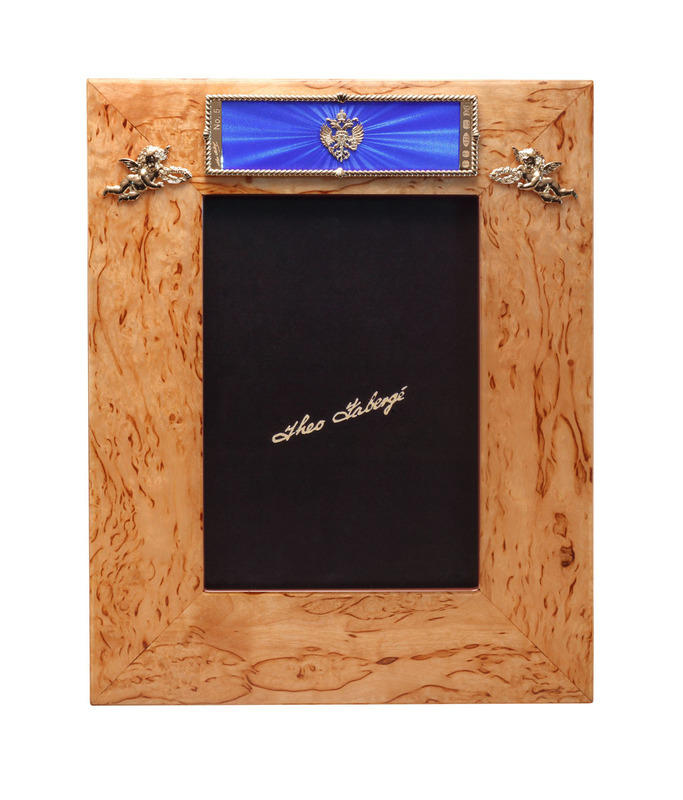 Theo Fabergé’s IMPERIAL FRAME is a tribute to fine craftsmanship, in the achievement of artistic and decorative accessories. Materials: Karelian Birch wood, sterling silver, rubies, diamonds and enamel.